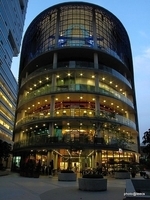 Sooka Sentral is a freehold shopping mall located in KL Sentral, KL City Centre. It was developed by Malaysian Resources Corp Bhd (aka MRCB), and was completed in about 2008. Malaysian Resources Corp Bhd (aka MRCB) is a large-sized real estate company listed on KLSE, and it has constructed around 32 real estate projects in Malaysia. Other similar projects by the same developer are 348 Sentral, Coastal Towers, Kajang Utama, Nine Seputeh, Plaza Sentral, Q Sentral, Suasana Sentral Condominium, Suasana Sentral Loft, The Sentral Residences and The Waterfront. As for universities, there are Amcs College Of Medical, Brickfields Asia College KL, Brickfields Asia College (Bac 2), Globalnxt University, Management And Science University and Methodist College KL (MCKL). There are also some metro transport stations here, i.e. 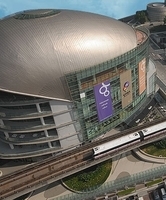 LRT Bangsar, MRT Muzium Negara and Monorail Tun Sambanthan.